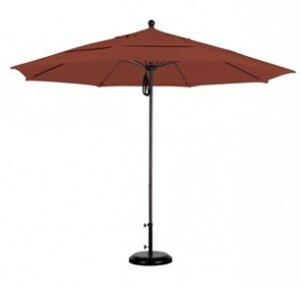 Square Patio Umbrella: Sunbrella patio umbrella fabrics are made in America by Glen Raven mills. These gorgeous umbrellas are guaranteed not to fade for at least 5 years. 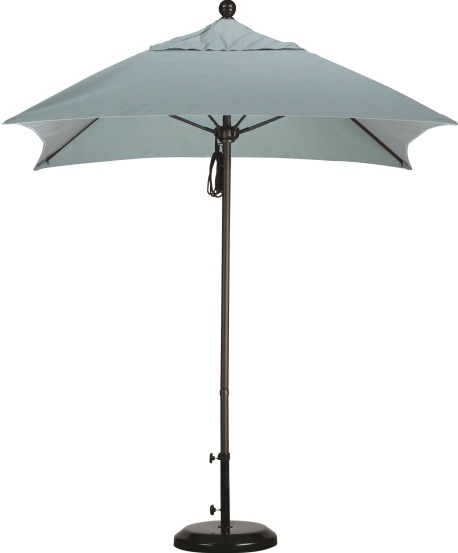 This six feet square shade canopy is the perfect size for an intimate setting such as when shade is required for a bistro or cafe table or even a 2-seat patio table. Prefer the personal touch: Call/text our umbrella pro now: Mark Taylor @ 480-600-1049. SKU: 4013. Categories: 6-8' Patio Umbrellas, Aluminum Patio Umbrellas, California Umbrella, Fade Resistant, Patio/Market Umbrellas, Square, Sunbrella®patio umbrellas.